After six months of work, it’s great to finally have version 2.0 of UX Write done. 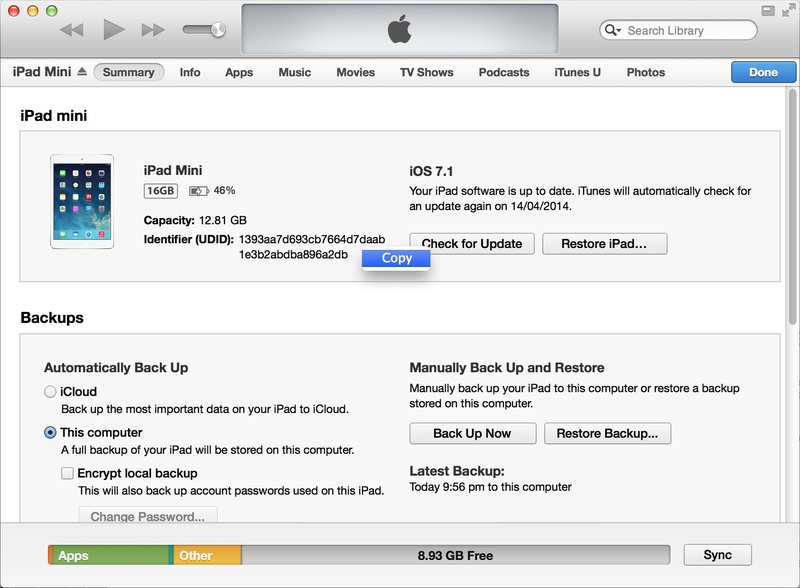 There’s some significant changes in this version, and most importantly, a new pricing model. 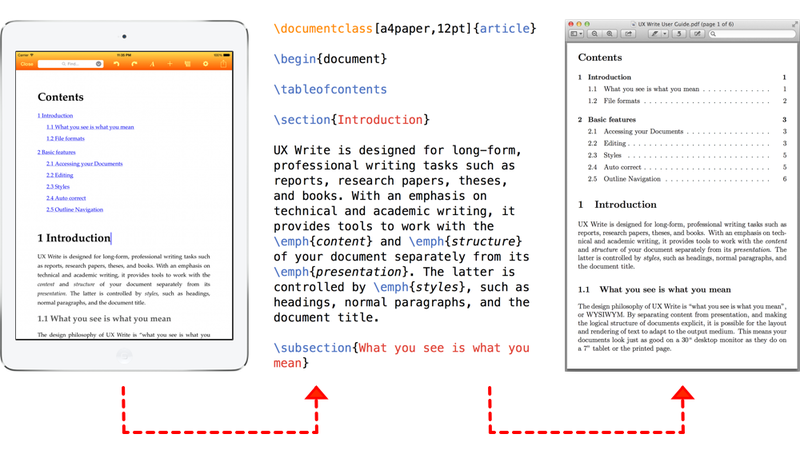 UX Write is now available via the “freemium” model. 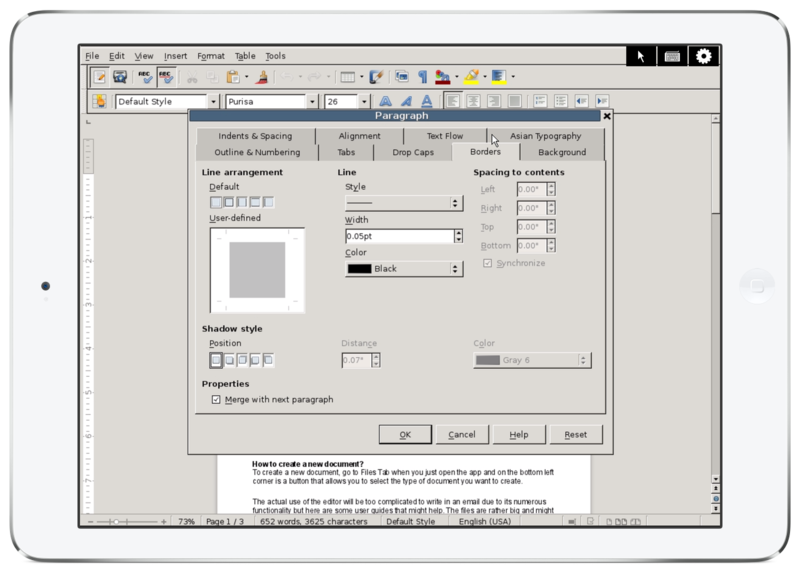 The basic edition, which can be downloaded for free, provides the core essentials – creating and editing HTML and Microsoft Word documents, syncing with various cloud services, and basic formatting like bold, italic, underline, lists, plus images and tables. 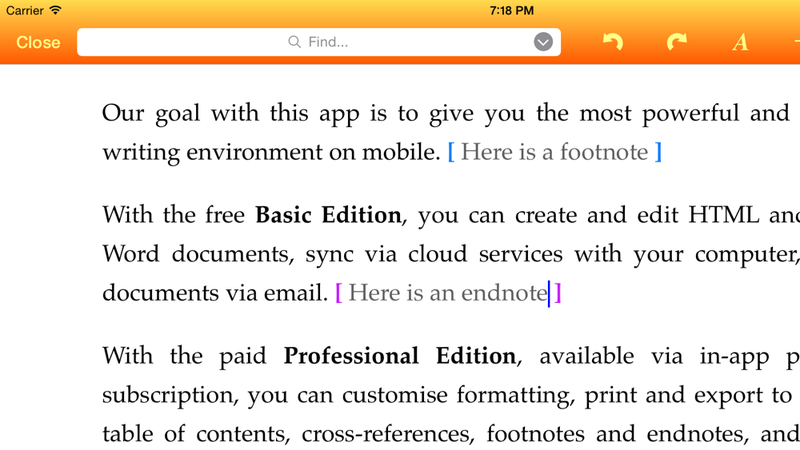 It also includes heading styles and the outline view for navigating documents. The professional edition, available via either a subscription or purchase option, has everything else. 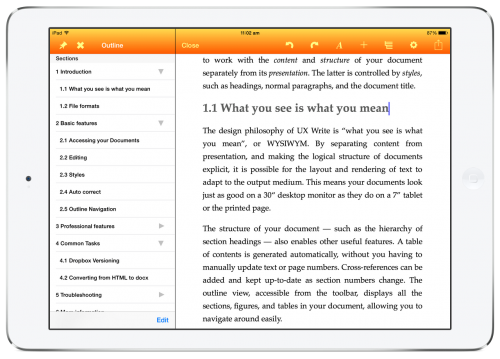 This includes custom styles and formatting, print/PDF export, structural features like a table of contents and cross-references, plus editing tools like find & replace, spell checking, outline editing, and word count (see the app website for full details). 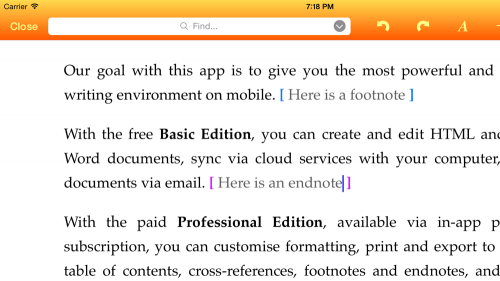 You can upgrade to the professional edition via in-app purchase. There are two ways to go: you can buy the app straight out for $25, which is the same as the previous price. Alternatively – and this is what I recommend if you want to try it out for a while – is to subscribe at $1/month. Subscriptions are renewed manually, so you can decide at the end of the first month to extend your subscription or purchase the app if you feel it’s working well for you. If you’ve bought UX Write prior to the release of 2.0, you automatically get access to the professional edition – there’s no extra payment required. Version 2.0 introduces a brand-new visual appearance, courtesy of a new member of the team, Ian Weatherseed. Both of us have put a great deal of thought into how to best represent what the app is about, and how to make the overall experience more intuitive. Ian has a very different background to me – being much more oriented towards to the human rather than technical aspects of a product, and I’m pleased with the results of his work. 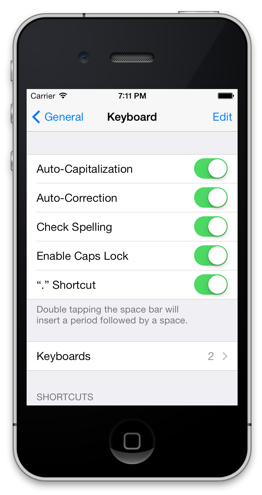 Next is the colour scheme and background, which are designed to make the app stand out from the plain iOS 7 defaults. These were some difficult decisions, and I know it’s going to generate some controversy, but overall the feedback on it has been pretty good, though it might take a little getting used to. Microsoft made a big splash with the introduction of Office for iPad, but unfortunately decided to only support their own cloud service, OneDrive. Google did the same thing when they bought QuickOffice, even going so far as to remove support for Dropbox. UX Productivity is not in the cloud business and has no incentive to do something as dumb as this. I really don’t care what you use – the only limiting factor on the number of services supported by UX Write is the development effort required to support each one, as each has a different API and slightly different way of doing things. But I believe that choice is very important, so you’ve now got two extra options: Google Drive and OneDrive. 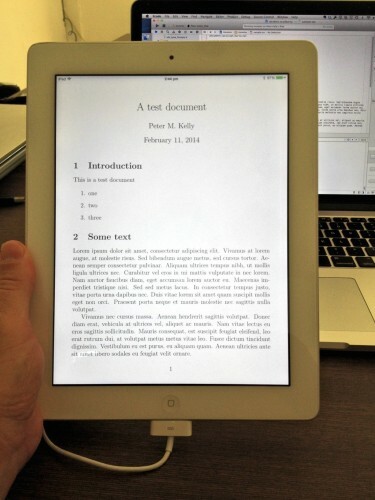 If you typeset your document using LaTeX, then the print or PDF output will have the footnotes positioned correctly at the bottom, and the endnotes will appear at the end of the document. If the file you’ve created is in MS Word format, then they will also appear in the expected place when you view the document in Word. I’ve written before about the complexities of moving files and folders in the context of file synchronisation. UX Write has been designed to work entirely offline, and there’s some rather obscure things that can go wrong if the same item gets moved around to different places on separate devices, and later synchronisation runs into conflicts – or, even worse – loss of data. This is the reason that moving and copying hasn’t been supported until now. There’s been a lot of demand for these features though so I’ve now implemented them in such a way that avoids these problems by performing the operations synchronously. 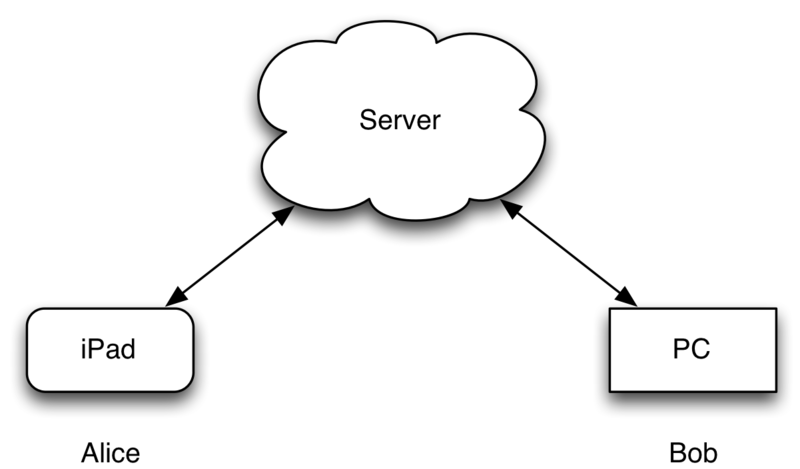 This means that in order to do a move or copy you have to be connected to the Internet at the time, and the app will send a request to the server to carry out the transfer, and force you to wait until it’s completed. 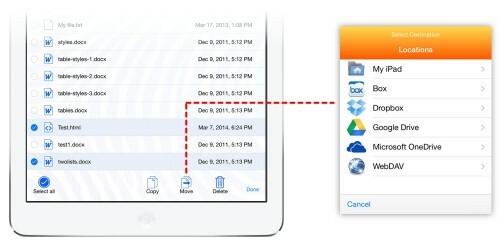 This is a simple solution that avoids the risk of data loss, and I think will suffice in the vast majority of cases. Uploads still happen in the background as usual, and you can still do everything else offline. While the current LaTeX support works for simple use cases, I still regard it in many respects as an experimental feature. There’s lot of aspects that I’ve yet to get working properly, including font support for non-English languages, plus import of files in .tex format – currently the LaTeX support is limited to PDF output only. As with everything else in UX Write, this is an evolving codebase that takes time to get right. In future updates, you’ll see support for equation editing, BibTeX, importing files, extra page layout options, and more. With the new basic edition now available for free, there’s no longer any reason not to give UX Write a try. If you’re new to the app, you’ll be able to get a pretty good understanding of what it’s like to use, and there’s no time limits or third-party advertising there to annoy you. The only difference between the two editions is the set of features available. And if you do decide to try out the professional edition, you can sign up for a month and see how you go, before deciding if you want to continue subscribing or purchase the app. Content is simply the words and images in your document — nothing more, nothing less. It is the most important aspect, because it contains the primary value — your idea, your story, your message; whatever information you intend to convey to the reader. 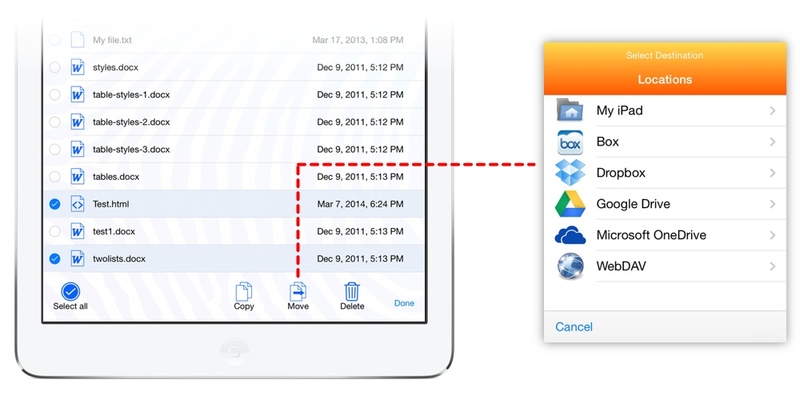 Structure is the way in which your document is organised. Typically this involves a hierarchy of sections with one or more levels of headings, as well as the arrangement of content into paragraphs, lists, tables, and figures. Any special designation attached to certain paragraphs, such as the document title or a footnote, is also considered structure. Presentation is what your document looks like. It is determined by formatting and layout options such as fonts, colours, margins, and line spacing. These options are either set on a case-by-case basis via direct formatting, or, preferably, using styles to specify how headings, normal paragraphs, and other structural elements should appear. All three of these are critical aspects of any professional documentation tool; when tied together, they permit the automation of many editing and publishing tasks. Structural information, in particular, is necessary for generating a table of contents, numbering headings, figures, and tables, supplying the text of cross-references, and providing navigational aids during editing such as an outline view. Furthermore, the use of styles enables the presentation to be based on the structure, so a consistent visual design can be reliably maintained throughout the whole document without manual effort. Word processors vary greatly in their support for the structural aspects of editing. Some provide none at all — requiring all presentation to be specified via direct formatting, which makes it difficult to achieve a consistent look and feel or conform to organisational style guides. Others provide very basic facilities, such as lists and tables, but little else. The most capable provide full support for all aspects of structure, such as headings, built-in and custom styles, automatic numbering, and table of contents generation. 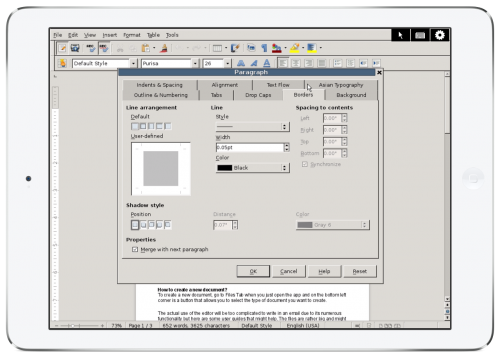 Even when a word processor supports advanced features, they are not always obvious from the user interface, and are only revealed in their full glory after you’ve climbed a steep learning curve. The canonical example is Microsoft Word, which has hundreds of features hidden away in various menus and dialog boxes, but has a default toolbar configuration which encourages bad practices like direct formatting, as I discussed in a previous post. 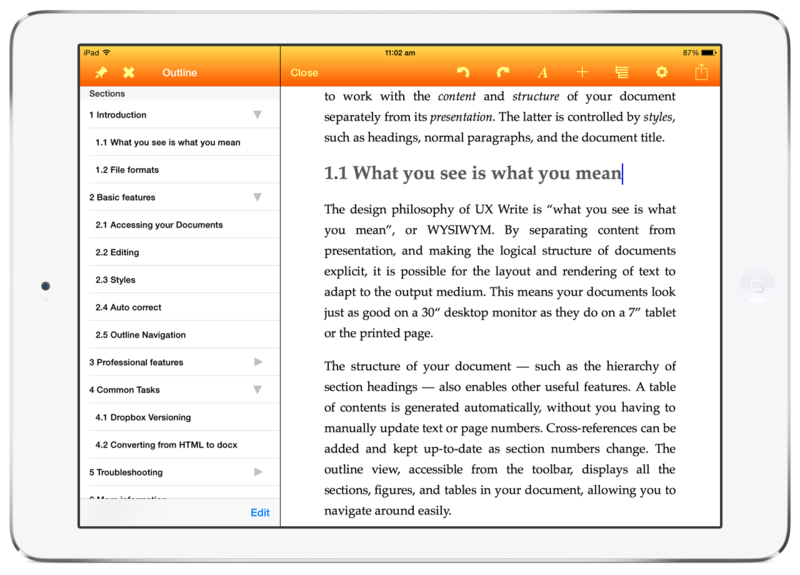 UX Write is designed first and foremost for structured writing, with the hierarchical organisation of sections made explicit, and direct formatting deliberately discouraged in favour of styles. 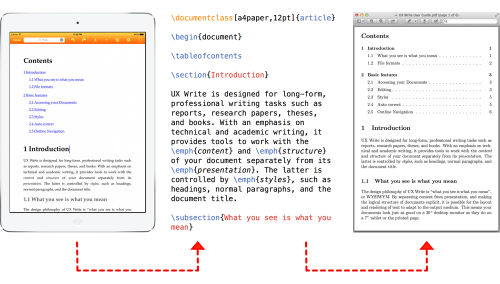 This is why it feels so different to use than Word — it’s a cleaner, more disciplined approach to document authoring, which is optimised for writing, with presentation as a secondary concern. The focus is on helping you with your most important task — getting your message across.